Last year, while researching programming software for young children to use with her five-year-old son, Ernestina Appiah came across a YouTube video of a coding club in the UK. The video showed one group of children programming rocket ship games. Another group in the video was animating interactive stories. At the end, Ernestina immediately wanted to learn more about the programming language used in the videoR02;—R02;Scratch. “I searched for ‘Scratch,’ and when I got to the web site, my, oh, my. . .the excitement started building! I explored tons of projects and tried making a Sprite move the blocks. I knew I couldn’t keep this discovery to myself. I wanted to let as many kids as possible know about it,” Ernestina said. The more she learned about the programming, the more surprised Ernestina was that few schools in Ghana were using Scratch. It was then that Ernestina, with a background in IT and web development, decided to found Ghana Code Club. 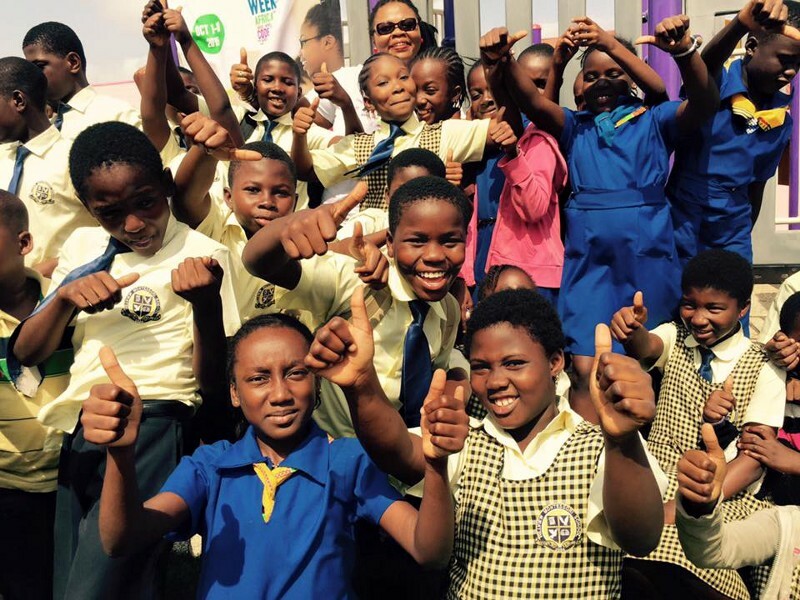 A year later, Ghana Code Club is in over 13 schools across the country and has a goal of reaching 10,000 kids in 2016. 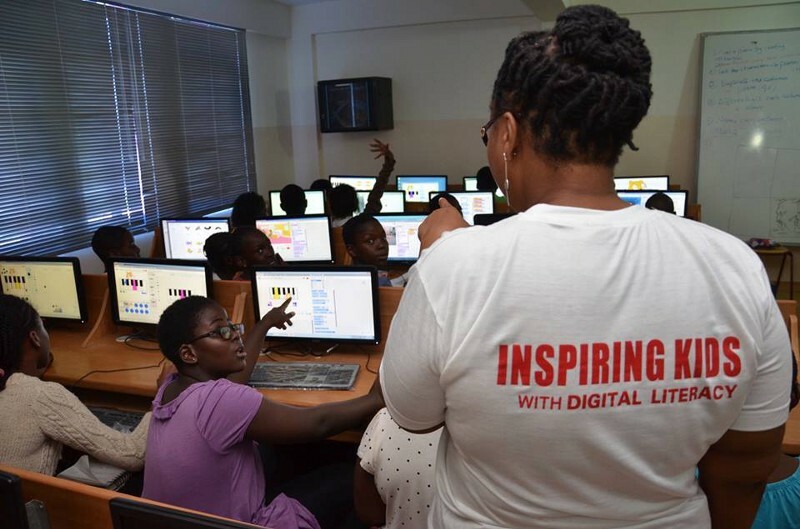 The Scratch Foundation recently spoke with CEO and Founder Ernestina Appiah to learn more about the organization’s mission and progress. What drew you to the Scratch programming language? I have a natural passion for digital activities, and Scratch happens to be the perfect tool to engage my kids to create digital art and projects. The platform is user friendly and exciting. Anyone can get hooked! Describe the Ghana Code Club program. Ghana Code Club operates through a network of trained volunteers who visit schools in their communities and introduce computer science to the school principals and directors. We try to explain the benefits of coding and describe the skills that kids can develop. If a school agrees to give it a try, our volunteers collaborate with that school’s ICT teacher to meet once a week. We work with the students to program games, animations, and stories. We also added HTML, CSS and Python projects to our curriculum. And we are not limited to schools. We hold coding clubs at churchesR02;—R02;which we call church clubsR02;—R02;on Saturdays. Are people talking about coding and computer science in Ghana? In Ghana, computer science is only accessible at the tertiary institutions (also referred to as third stage, third level, or post-secondary education). Coding is still new among the masses. A few organizations are advocating for more access by organizing occasional events and workshops, but we still have a lot of ground to cover. Hopefully, Ghana Code Club can also become a strong advocate for coding for children. Do you have a favorite memory or anecdote related to the Club that you can share? What do you hope young people gain from their experiences with Ghana Code Club? We want young people to be better equipped to succeed in the digital world. We want them to apply the skills they gain in future careers and hobbies. We want them to be confident and empowered to create and innovate with technologyR02;—R02;maybe even making the world a better place. What have you learned about yourself from establishing Ghana Code Club? I learnt that I have a great passion for what I’m doing. I volunteer six days a weekR02;—R02;working with the children makes me feel so alive. Can you share your future plans or vision for Ghana Code Club? We want Code Clubs to be everywhere. In schools, in churches, community centers, libraries. We want to turn Ghana upside down with coding activities! Africa needs more tech innovators and problem solvers. Lawyers need digital skills, doctors do, entrepreneurs do, artists do. The next generation deserves to to be able to communicate their ideas digitally.